The significantly lighter weight requires less energy to stop momentum and minimises the effort required for every blow. The new slimmer shape barrel ensures a superb grip and provides maximum in-hand comfort. The precise weight distribution provides superior balance and handling to deliver easier manoeuvrability. 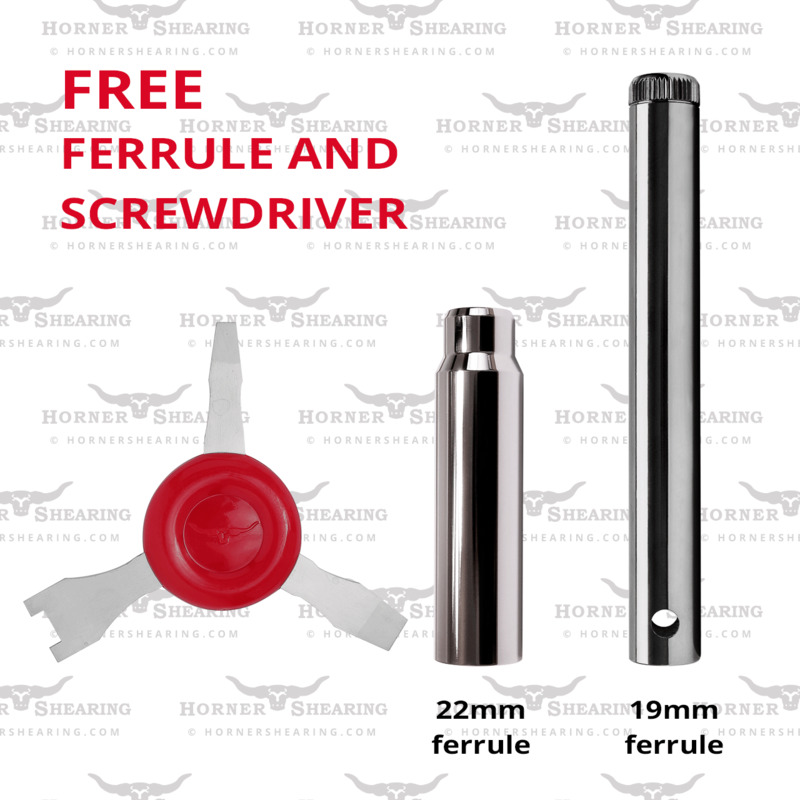 Now includes free ferrule and screwdriver. Comb and cutter shown for illustrative purposes only.